At laluna we believe in giving back, and what better way to give back, than to help those, who give so much of themselves. Laluna was happy to host 15 Grenadian staff members from 4 different residential care homes. 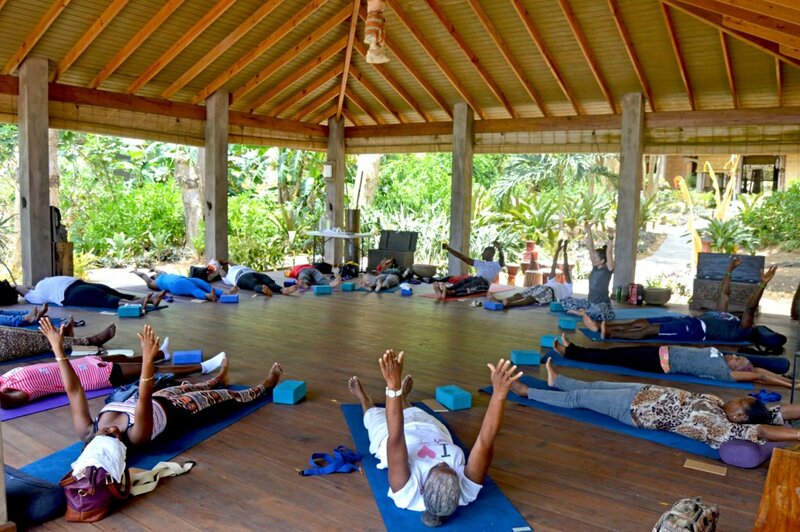 They all attended a retreat at Laluna, that was co-led by Yoga teachers Jerry Bascombe and Miranda Miller. All in conjunction with ReachWithin, a charity organization who’s mission is to improve the futures of the children of Grenada. ReachWithin believes that the staff caregivers provide the most consistent relationship for children who have experienced abuse or abandonment. It is highly important to replenish the resources and energy of these caregivers, in order to prevent burnout. 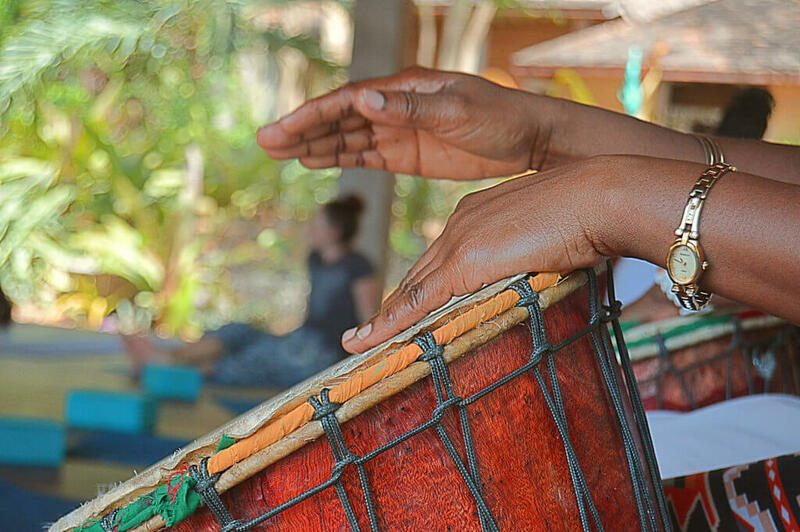 The retreat that was held at Laluna’s yoga pavilion on the beach, included gentle yoga, drumming, journaling and walking meditation. Lunch and refreshments were provided by Laluna. 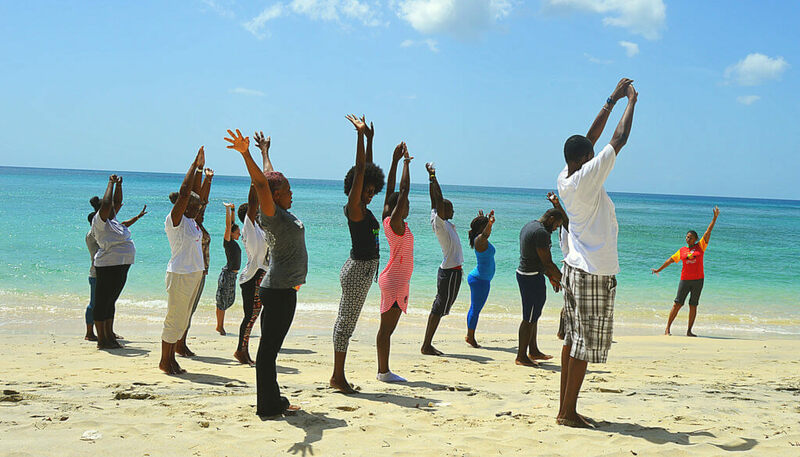 “It was a great moment of self care, free expression and pure fun” said Jerry Bascombe, who co-hosted the retreat. Laluna hopes to continue these retreats in the future, as a way of giving back to the Caregiving community of Grenada. During the retreat, this poem was written by one of the staff members during journaling. It was so touching that we wanted to include it in our blog. all the worries and cares now.